A zesty feel-good comedy from writer, director and star Jon Favreau. 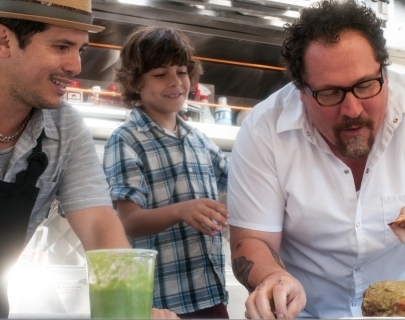 Favreau is Chef Carl Casper, who feels his artistic creativity is limited by the conservative nature of his boss, restaurant owner Riva (Dustin Hoffman). When he gets fired for daring to break the rules, Carl must rebuild his integrity as a chef by branching out on his own. Reinventing himself as the owner and operator of a food truck, Carl is soon making waves around the city, revitalising his lust for food, and also his lust for life. There’s a strong supporting cast culled from Favreau’s Iron Man films, including Robert Downey Jr. and Scarlett Johansson, and fun cameos from John Leguizamo and Bobby Cannavale.